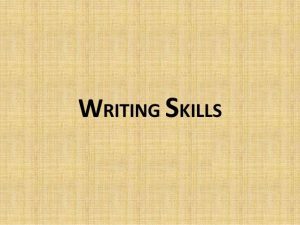 If you want to be a true professional writer, you need to constantly improve your writing skills. Also, if you are looking for more writing jobs or tasks, it doesn’t hurt to strive to learn as much as you can about your chosen profession. It doesn’t matter if you are doing writing jobs from home, or if you are working from a fancy office, the improvement of your writing skills is essential to staying relevant in this field. So, what are some of things we can do to better ourselves as writers? Essential guidebooks for every writer: Elements of Style by William Strunk Jr., Bird by Bird by Anne Lamott, and On Writing Well by William Zinsser. These three will make your writing clearer, more succinct, and exacting. On your days off, do some journal writing or creative writing. Being in constant practice will allow you to be always ready to write a masterpiece. Masterpieces don’t come from a lack of focus and effort—they come from hard work and routine. Don’t just read news and nonfiction articles on the Internet. Read a novel, a poem, a screenplay, or a short story. Fill your head with the writing of the history’s greatest writers, so you can use their styles and ideas when appropriate, and in general, use the best they had to offer. You may be working for freelance writing sites, but it is good to get out to a local library or cafe, and visit a workshop for writers. The writers there will help you with their suggestions for any piece of writing you have, and plus you can gain contacts for more work there. They say in these workshops that you should leave your ego at the door. Hear what people have to say sincerely. They might allow you to earn much more money while you do your freelance writing jobs online through their advice. Buy a pocket-sized notebook and a fancy pen. Take notes on any ideas you have during the day. Often, we have an idea and we let it slip through the cracks of our brain. When you have an idea, write it down right away. When you have a notebook in your pocket, psychologically you are more prone to come up with ideas. You can use these ideas to form an outline for future articles or blog posts, or even your own future novel. Your technical writing skills need to be at a high standard. If you are still confused about some things in grammar, punctuation, formatting, or anything writing related, don’t be shy to look up the answers. Do some personal research on any gaps you have in your technical knowledge. This will help you get more technical writing jobs.